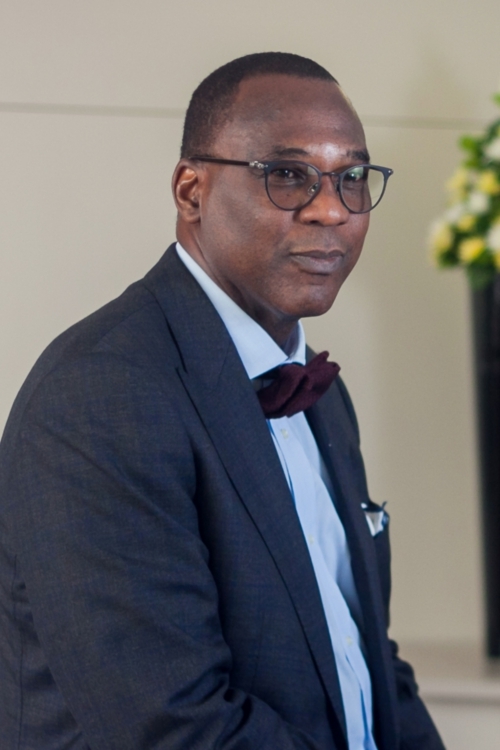 Adewale Atake, SAN is a Partner and Head of the Dispute Resolution Practice Group and specializes in both domestic and international energy arbitration. He has over 20 years’ experience representing IOCs, multinational corporations, banks, and a wide range of other clients in high-value disputes on a wide variety of subject matters. He is well regarded by clients and colleagues as an attorney that achieves results. Adewale is one of seven Nigerian lawyers listed by Legal 500, as leading individuals in the top tier of Dispute Resolution practice in Nigeria. He has been described as ‘spectacular in mastery of the law and legal advice’ by Legal 500. Successfully leading the Templars team in obtaining an award of over US $2billion in the Crude Entitlement Dispute Arbitration with the NNPC and currently leading the Templars’ team in related court proceedings to set aside the arbitral award by the NNPC and to impeach the arbitration proceedings by FIRS at both the Federal High Court and the Appellate Courts. Leading the Templars team on the Erha PSC Contractor’s PPT and EDT appeals, in respect of wrongful PPT and EDT assessments issued by the FIRS, at the Tax Appeal Tribunal (TAT) and in related appeals and judicial review proceedings at the Federal High Court. Representing South Atlantic Petroleum Limited at the Supreme Court of Nigeria in its dispute with the Federal Government of Nigeria (FGN) arising from the mandatory relinquishment of the residue of its Oil Prospecting License to the FGN upon conversion to an Oil Mining Lease. Recently, obtaining an arbitral award in favour of Nigerian Breweries Plc (NB) – Nigeria’s largest beverage (alcoholic and non-alcoholic) brewer – in a dispute with a national gas supplier/pipeline on the appropriate interpretation of the “take or pay” provisions in a Gas Sale and Purchase Agreement (GSPA) between the parties. Representing a number of Respondents in multi-party ad-hoc arbitration conducted pursuant to the UNCITRAL Arbitration Rules. The Respondents are alleged to have sold and transferred shares of a mobile telephone network operator to a third party in purported violation of rights of first refusal arising under a shareholders agreement; with the claim for damages in excess of US$4billion. This is a multi-party arbitration relating to a dispute that has erupted in a number of different jurisdictions. Representing Phillips Oil Company (Nigeria) Limited (POCNL) at the TAT in respect of its dispute with the FIRS/FGN for the wrongful assessment of EDT, resulting from the FIRS disallowance of certain tax offsets accruing to POCNL under the 2000 Memorandum of Understanding (MoU) executed between Federal Government of Nigeria and a number of International Oil Companies on the basis that the MoU was allegedly terminated in 2008. Personally led the team that represented Hyundai Heavy Industries (HHI) in an international arbitration in Seoul, South Korea and Lagos Nigeria, against Sirpi Alusteel in a claim of over US$12.5 million which arose from the Edop Gas Injection Project, offshore Nigeria. Personally led and successfully obtained an arbitral award on behalf of the Heineken subsidiary, Nigerian Breweries plc in a dispute arising from the “take-or-pay” provisions of a Gas Sale and Purchase Agreement between the company and its gas suppliers. Successfully represented ExxonMobil against the Nigerian Government in a dispute over the wrongful revocation of four ExxonMobil’s OMLs; culminating in the restoration of the OMLs by the FGN. Successfully represented Global Industries by NBE Oceaneering Nigeria Ltd (NBE) in a dispute arising out of a contract for the importation of a floating production platform (the YOHO DECK) and the performance of the custom duty requirements arising therefrom. Successfully represented J. Ray McDermott Inc in a dispute arising from a Joint Venture (JV) with a local Nigerian company for the US$330 million acquisition of Nigerdock Nigeria Limited, a ship building and fabrication yard in Snake Island, Lagos. Adewale is member of the London Court of International Arbitration (African Users Council). He possesses extensive knowledge and experience as an advocate in ad-hoc and institutional arbitrations and in litigation at all levels of Nigerian courts in energy, tax and other commercial disputes.